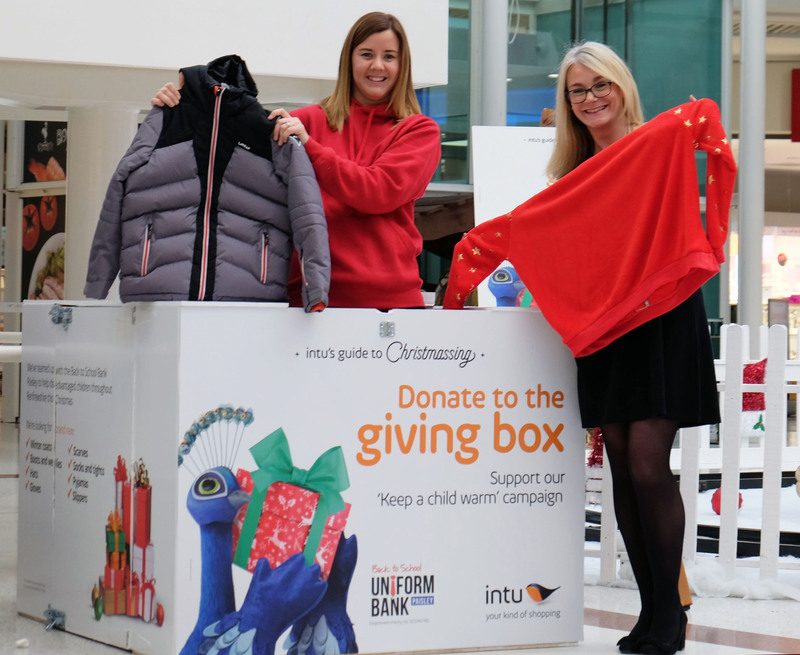 YOUNGSTERS from disadvantaged homes will be given brand new winter clothing after the intu Braehead shopping centre stepped in to help a charity appeal. The Back to School Bank Paisley’s Keep a Child Warm Campaign is asking for donations of brand new warm clothes and footwear that will be passed on to school pupils of all ages, who are in need. And a special collection point for winter coats, jumpers, hats, scarves, gloves, boots, sock or tights and even slippers and warm pyjamas has been set up in the lower central atrium of the giant shopping mall. The Back to School Bank Paisley charity was set up by Lochfield primary teacher, Lynne Gilday to buy and distribute school uniforms, PE kit, shoes, coats, hats and scarves along with pens, pencils, calculators and other stationery to youngsters whose families may be struggling financially. Lynne explained why a special winter clothing appeal was launched: “We were getting more and more referrals of children who were in dire need of warm winter clothing.